The Lexmark C780 and C780N are a series of color laser printers that can meet the demands of busy small or medium offices. Considering its inexpensive tag, the base model's print speeds of up to 35 pages per minute for monochrome documents and 31 pages per minute for color projects make it one of the quickest in its price range. Adding on further positive features like flexible connectivity, affordable toners, and its easy-to-use control panel, the C780 is an impressive single-function printer. 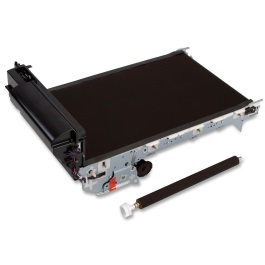 The device's media handling can support up to 1,100 pages, providing users with a 100-sheet multipurpose feeder, an optional duplex unit for double-sided printing and multiple paper drawers. The C780 also incorporates a number of connections such as wireless support, a USB port for printing from a PC and a front USB direct port for printing straight from storage devices like flash drives. The printer's front panel is basic, but easy to navigate, incorporating a monochrome LCD screen, a number pad and a four-way pad for navigating through menu options. Despite its more basic build, the C780 has a bulkier size of 20x23x18 inches that will take up a lot of a user's desktop space. 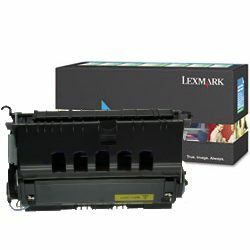 According to expert tests, the device printed satisfactory graphic and photo output with a resolution of 4800 dpi using color Lexmark C780 printer toner. Text projects also tested well, printing sharp characters with excellent readability. 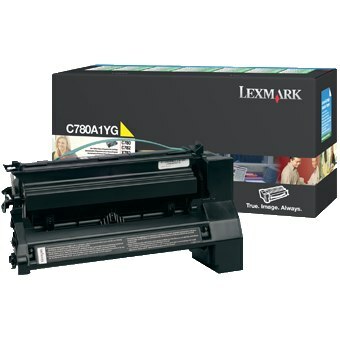 Standard black, yellow, cyan and magenta Lexmark C780 toner cartridges can each last a maximum of 6,000 pages. Users have the option to replace expired supplies with high-capacity Lexmark C780 toner cartridges, which aren't too expensive and increase yields to a maximum of 10,000 pages for each color. 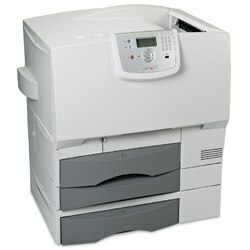 The C780's adequate performance against expert output tests and its quick speeds are enough to recommend it for small offices that require only print functionality. This laser device also benefits from flexible paper handling and offers users a number of different connections, making it a solid and affordable choice to handle heavy-duty printing.